We have been having permanent frost and (just about) permanent sun over the last two days – what a wonderful combination. 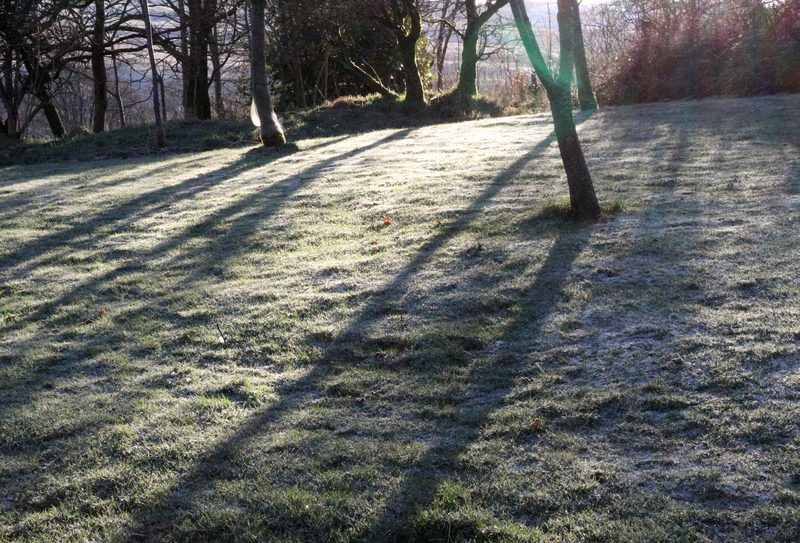 The low temperatures mean less mud (particularly on the feet of the dog) and the low sun lights up the frost and casts long shadows. 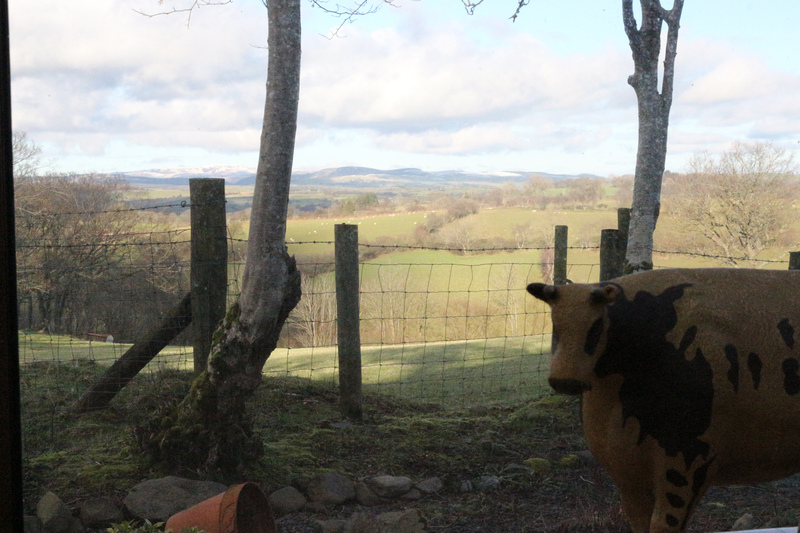 This is the view from our dining table. The distant mountains provide an ever changing panorama of cloud and light over snow covered slopes. In the near field the sheep ebb and flow.